Treasured Lies by Kendall Talbot is the second book in the Treasured series and starts right from where the first book, Treasured Secrets ended. 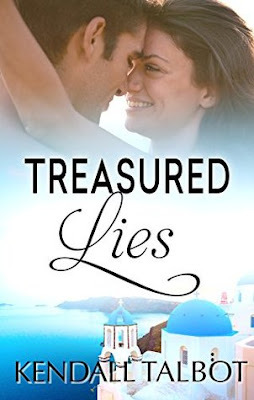 I enjoyed reading Treasured Secrets which introduced the characters Archer and Rosalina and also took me to different countries with their own vivid histories described all while searching for a treasure and facing danger. This book takes us a step further in Archer and Rosalina's lives and while it doesnt cover as many countries as the previous book, the story is much more crisp, more adventurous, more passionate and has a lot more treasure hunting thrill to offer. One villian is gone but there are more taking his place and the work is cut out for our protagonists. Kendall has matured as a writer and the writing in this book is more vivid, compact and expressive. The author manages to hook the readers' attention and maintain the interest right till the end. The reading is fun and gives a cozy feel while also giving us many terrifying moments when I almost stopped breathing while anticipating the next move. All in all, I enjoyed reading Treasured Lies by Kendall Talbot and give it 4 out of 5 stars. Recommended to all lovers of romance, suspense and treasure hunting thrill.